Specializing in Aldergrove and the Surrounding Neighbourhoods. 25+ Years Experience Selling Real Estate in the Fraser Valley, Top 1% Realtor* Re/Max Hall of Fame, ASP Certified Home Stager. We look forward to getting to know you better, and we want to give you the kind of exceptional service that develops a lifelong relationship. sometimes means walking away from a home and looking at other options and calling on her VIP team to ensure her clients have a competitive edge when selling and buying. She does not receive referrals from her VIP team, rather she asks that they provide VIP service at competitive rates. Her VIP team includes movers, plumbers, electricians, painters, designers, maids, flooring experts and many more industry leaders. When selling, any issues will be handled immediately so her clients benefit with a quick sale at the best price possible. She will personally shop for her clients to provide the best accessories so the photo shoot is successful, she will organize new flooring that can be paid at closing if funds are tight and she has organized quotes for renovations that the buyer can do later which adds tremendous value while selling without adding any stress or financial cost to her sellers. She has also personally designed past client gifts for her clients so they feel appreciated and hosts get togethers often to stay connected as friends. Her team has chosen a variety of moving books for children to help make the transition a little easier and she offers a starter set of moving boxes to help get you on your way. She is traditional and believes a handshake stands. She works with a business coach every 2 weeks focussing on how to stay one step ahead in a fast-paced industry. She has lived her whole life in the Fraser Valley and she has been a Realtor for over 25 years. She now operates her business from an Aldergrove Storefront located at 27272 Fraser Hwy which is open Monday to Thursday 9-4pm. Jodi loves to play baseball and her favourite thing to do is to watch a live baseball game whether it's the Mariners playing in Seattle or the Blue Jays visiting. She will often wear both teams memorabilia. She enjoys trying new wines, listening to country music and hanging out with friends and family. She loves to try new things and appreciates the simple things in life. Jodi is up early starting her day at 5:15 am which begins with prioritizing what needs to be handled over a cup of coffee, then she hits the gym and then it's back home to prepare breakfast, lunches & dinner for her 9 year old. She takes Friday afternoon off for a date with her husband and she plans weekend getaways every 3rd weekend at Whatcom Lake to build memories with her family. Her favourite magazine is Real Estate Wealth and her favourite books are self improvements books from Brian Tracey & Think & Grow Rich. Jodi is also the President of the Aldergrove Business Association where Jodi and her team of directors works with the ToL on many initiatives to help improve the downtown core of Aldergrove and address the issues the business owners are facing on a daily basis. As of today they are in the process of creating a Facade to provide guidance for developers and landlords, the "Imagine Your Business Campaign" is underway which is offering high end designs for vacant storefronts to.help attract a high end tenant and the "Baby Steps Campaign" which is offering businesses ideas on how to make their storefront more inviting by offering tips and gift cards to motivate change. Jodi also belongs to the Aldergrove Rotary which meets every Friday at 7am and she helps with the Starfish backpack program on Thursday's. She also has 2 grown children, Shelby who is 23 years old who is completing her teaching degree at UVIC and Marisa who is 19 living in Kelowna studying sports medicine and training in martial arts. Jodi has personally bought fixer uppers and renovated the homes from the studs inwards and she manages her own rental properties which has helped many of her up and coming investors. Jodi can help you with writing ads, providing the paperwork needed for tenants and she can offer advise with regards to the pitfalls when becoming a landlord. She will preview fixer uppers and run the numbers to save her clients hours and hours of time and she will call once winner is found. If you are just wanting an up to date evaluation so you can stay current with today's market trends or you are wanting to know what renovations will have the greatest return over time, Jodi is here to lend a hand. You can call 604-833-5634 to talk directly to Jodi. Jodi's husband Scott was doing high-end home renovations for 5 years before joining the team back in 2005, often lending a hand preparing their clients homes by assisting with some painting and handyman work for the team until a few years ago. Scott acquired his real estate license in 2017 and shares Jodi's dedication to our clients. Scott is in charge of the teams IT department and researching all of the information that is needed for each listing to ensure we market each home to it's fullest potential. Scott will provide calculations for our development projects, provide a home owner with the size of a shop that the lot will accommodate and he prepares our 8 page custom brochures by visiting each home to gather pertinant details. Scott's deep sense of loyalty and long-term outlook are his greatest assets. Jolynn has worked with the team for over 10 years, and she is the person working hard behind the scenes to facilitate the seemingly stress-free process of buying or selling with Jodi and the Team. It takes a lot of work to gather all the information we need, coordinate appointments for the various professionals involved, ensure that everything goes well on moving day, and manage all of our files and more. Jo works at our Aldergrove storefront Monday to Thursday and works from home on Friday's. I often see updates from Dropbox flash across the top corner of my screen at midnight or as early as 5:30 a.m. during the week. Many times I've sent her a text saying "Go to bed Jo! ;)"
There are a lot of great people who we work with on a regular basis, but these people are involved in the majority of our transactions one way or another. You can read more about these awesome people in our Team page. 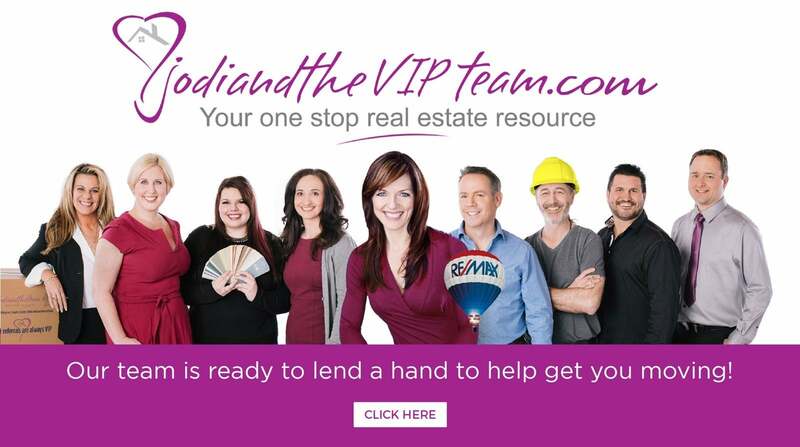 Make sure to hit the CLICK HERE button under our VIP team photo to see our team VIDEO. Selling your home for top dollar takes top notch preparation and professional marketing. When it comes to the preparation, we realize that it's a stressful time in your life, and that there are probably some nagging details about your home that will negatively affect it's sale price. The average seller could potentially net thousands of tax-free dollars with the right help at a fair price. To ensure the buyers looking at your home are informed, our team will work diligently to collect information about things like underground sprinklers, in-floor radiant heating, the presence of a heat pump or A/C, extra insulation in the attic, roof warranties, who are the neighbours, how many years have you lived at the home, what are the monthly electric bills & gas bills and many more categories. We also include information such as the distance to local schools and amenities, the location of the water shut-off, the type of plumbing & wiring and local bus routes. Buying a home is scary and overwhelming and the more information you can provide, the more confident the buyer will feel. Providing supporting documents such as the last time you serviced your furnace and fireplace with receipts will provide further clairifcation to the buyer that the home has been maintained. The easier you can make it for a buyer to buy your home, the better. Buying before Selling will cost you thousands. We can discuss the downside of buying before selling and we can provide options to ease your concerns about timing to ensure the process is.as smooth as possible. We will. not leave you homeless. After discussing the options, many home sellers still decide to buy first but now they are informed. They may decide that the additional $25,000.00 it will cost is worth it if they can find their forever home and can avoid a second move in the future. 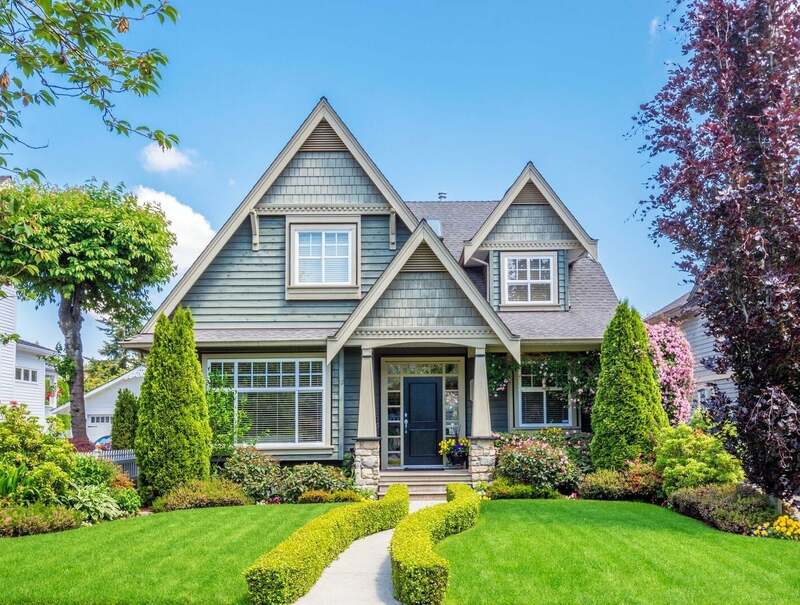 To discuss the process of selling in more detail, just give Jodi a call to book a consultation at 604-833-5634. Whether you're a first time home buyer or an experienced investor, our team has a lot to offer. We have decades worth of experience evaluating homes and lots, writing strong offers in competitive markets, negotiating hard in soft markets, forming strong contracts to ensure that your interests are protected, familiarity with local amenities in the different municipalities, and after helping people buy & sell for 25 years we know what mistakes to avoid when selecting a long-term home. We also keep up to date on the changes to the financing regulations, mortgages, and government incentives to help our buyers take advantage of everything that's available in the current market. Jodi and Wendy will point out pitfalls when viewing homes and we will show you the best homes available in any given market. Once you have found the one, we will knock on the neighbours doors to ask for their opinion on the area, if a train is close by we will call CNN to obtain further information as to how many times does the train go by and do they blow the whistle and at what hours. Many times we have to say NO when our buyers find a home they think if perfect because it does not meet their long term goals. We are not focussed on making the sale today, we are focussed on building relationships that last a lifetime and sometimes that requires us to say NO, The buyer may still decide to buy the home but now they are moving forward will all the information and are aware of the pitfalls. Sometimes the best deals are the ones with the bad paint colours or the old flooring. We can quickly provide quotes for these types of renovations and negotiate that you can obtain quotes prior to possession to ensure you can have your renovations done as soon as you get the keys. We are here to ensure you don't get caught up in the process and you hit your targets and win financially. Give us a call at 604-833-5634, we are here to lend a hand and get you on your way!